Guests with: ‘Magic Your Way’ base tickets, or a ‘Disney one-day 1-Park Ticket‘, Guests without an admission ticket, and Cast Members using Main Gate & Silver Passes will be turned around at the parking lot booths. Avoid headaches and delays at the parks consulting our Facebook Page or Twitter to get informed about Park Status closing updates or just call 1-800-230-6991. 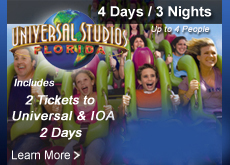 At Universal Studios Orlando Resort you can experience the only holiday celebrations where your whole family can be naughty, nice and everything you can imagined . 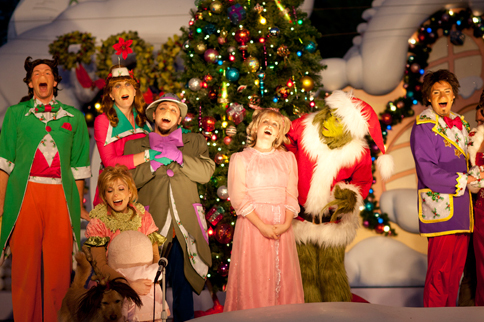 During the month of December 2013 and until January 4, 2014, you can see balloons and floats, sing along with everyone’s favorite green meanie, and top it all off with live music by one of the world’s most beloved holiday artists. 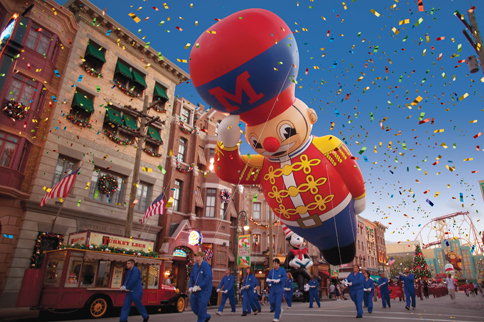 Universal Studios Orlando Presents the Macy’s Holiday Parade™ the streets will be full with colorful balloons and floats coming straight from the world famous Macy’s Thanksgiving Day Parade in New York City. Also they have marching bands, clowns, and an appearance by the one and only Santa Claus! You can also enjoy the spectacular tree lighting ceremony with music and a dazzling display of lights! Barney™ and his friends Presents a magical musical show full of songs at A Day In The Park With Barney™ located inside Universal Studios Florida. Universal’s Islands of Adventure Presents THE GRINCHMAS™ HOLIDAY SPECTACULAR, The centerpiece of our celebration is a heartwarming live show starring The Grinch™, and featuring music recorded by Mannheim Steamroller. You can See characters come to brilliant life both onstage and off, enjoy the holidays celebrations trough Seuss Landing, ready to say hello and spread good cheer. 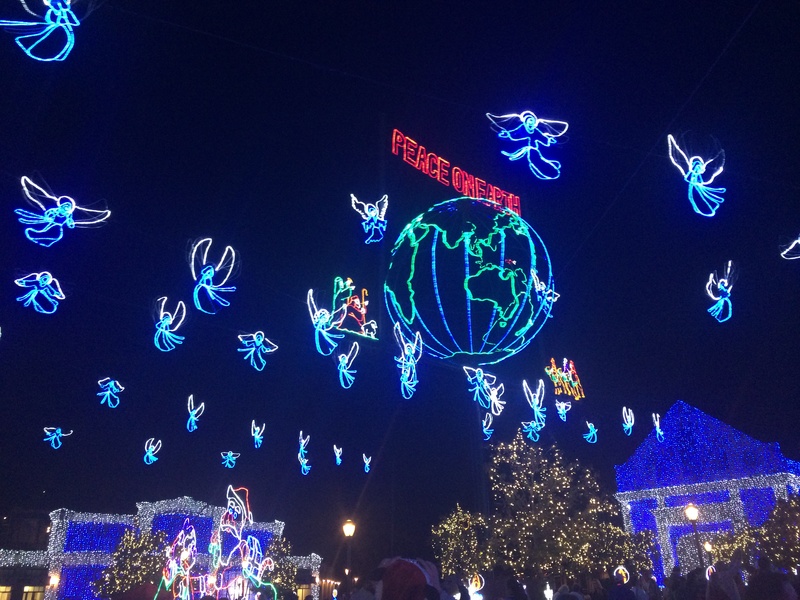 This is one of the most beautiful places in Orlando Florida to visit during this Holiday Season, a millions of glittering lights perfectly synchronized to holiday music. Share in an awe-inspiring seasonal treat for the entire family. A big section at Hollywood Studios is decorated with a Brilliant multi-colored bulbs that wrap the buildings, changing hues and brightness throughout the show at Disney’s Hollywood Studios. A joyful music surrounds you, a sea of twinkling lights form twirling carousels of heavenly angels, toy soldiers, a spinning Earth, and even Santa and his trusty reindeer. This is something you must see to believe! This stunning spectacle started modestly in Arkansas as a single home’s annual display. and Here in Orlando Florida you can enjoy it Every year during Holiday Season , Jennings Osborne and his family set up an elaborate collection of holiday lights. Every year , the collection of lights grew and grew! In 1995, the Osborne family decided to share their magic with the world and Walt Disney World Resort happily offered to become the new permanent home for this exceptional exhibition of holiday cheer. 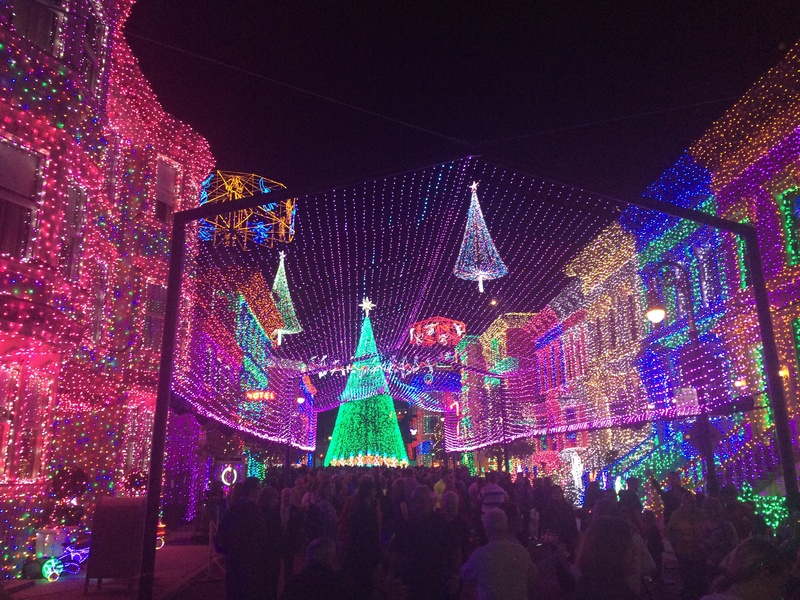 Definitely this is one of most beautiful shows in Orlando Florida During Christmas Season, for Orlando Vacation Packages and Walt Disney World Tickets just check our promotions here. Walt Disney World Epcot’s Candlelight Processional is a Family holiday event held nightly During Christmas Season at the America Gardens Theatre in Epcot Orlando Florida. During the wintertime Epcot get transformed into an international celebration to celebrate Holidays Around The World, traditions are filled with festive decorations and live entertainment. This special event is part of the Walt Disney World Holiday festivities, the processional is a wonderful way to share the magic of the season with your family and friends! For many years the Candlelight Processional has become an essential family tradition for our Guests. Show times take place 3 times during each day of the event at 5:00 PM, 6:45 PM and 8:15 PM. Celebrity narrators, dates and other entertainment are subject to change without notice. 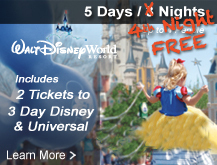 Discount Disney World Vacations Packages are Available during this season, also check our Discount Disney Tickets section.